It has been rather quiet from me lately. The reason for this is that I’m doing some jobs for Pelgrane press that has occupied most of my spare time that I use for mapping. The maps are for an upcoming 13th age adventure named Shadow over Eldolan. For this adventure I’ve made a city map (that you can see at the top of this post) and nearly ten different location maps. 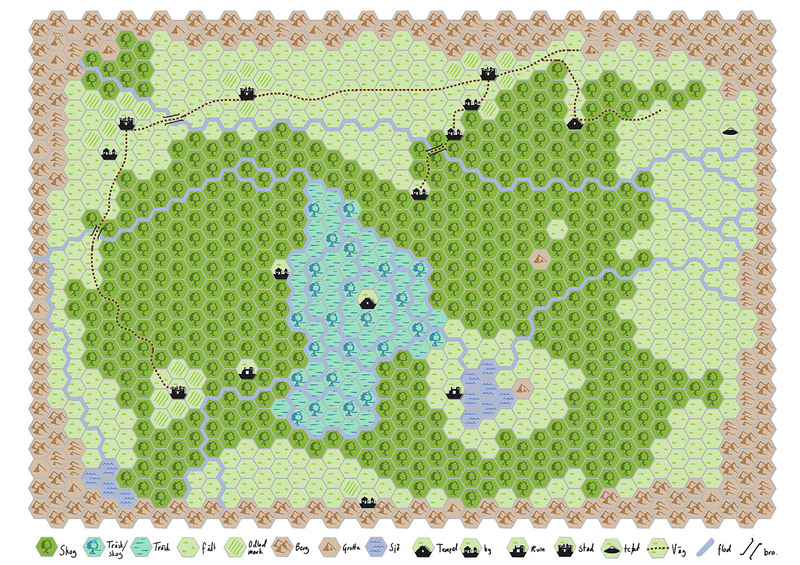 The city map is made in CD3 from Profantasy using my customized style that I have developed in the program. You can see some tutorials on how to tweak CD3 to get the same result in the tutorial section of my blog. 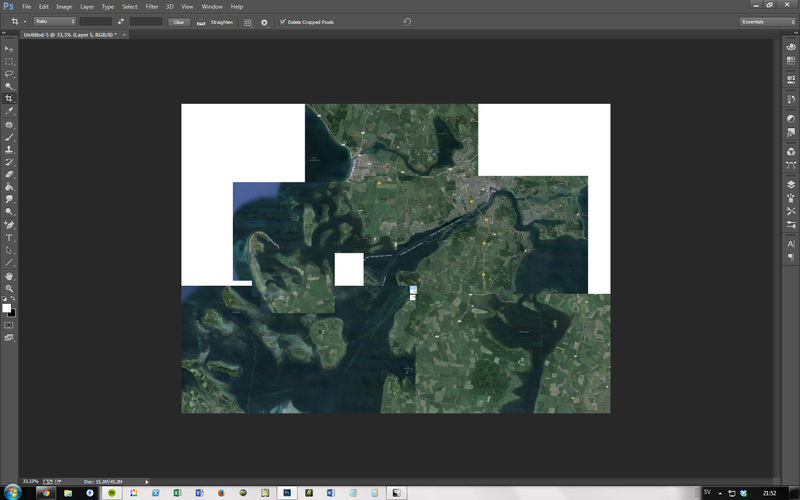 The tutorial also shows what steps I’m doing in Photoshop to get a more unique look of the map. I still think that the colours in CD3 are too bright to accomplish a satisfying result. So I correct that in Photoshop. 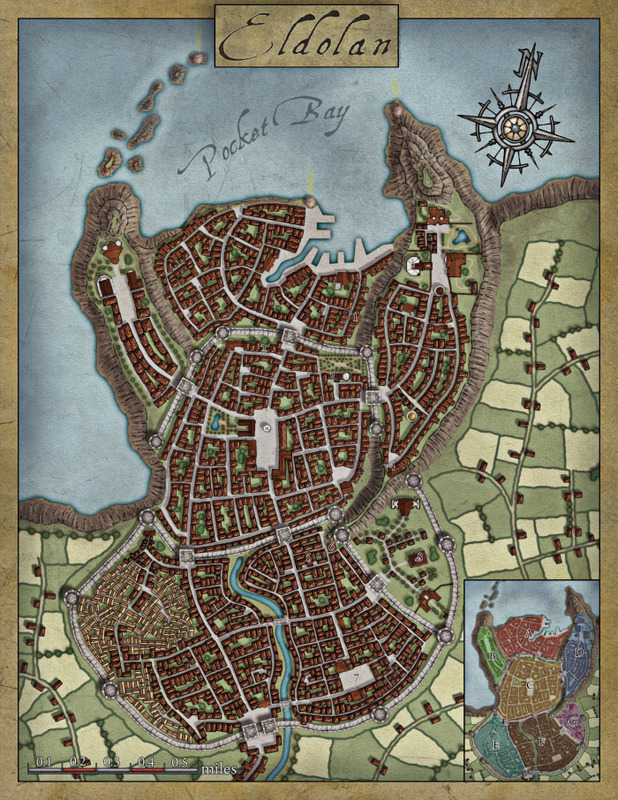 All the location maps are made in the new lovely style by Mike Schley that you can buy from Profantasy’s homepage. The maps are all quite different from each other and you can see an example from one of the maps below. The style was great fun to work with but as always when you use a style in CC3 there will be one or two symbols that you miss when you make a map. 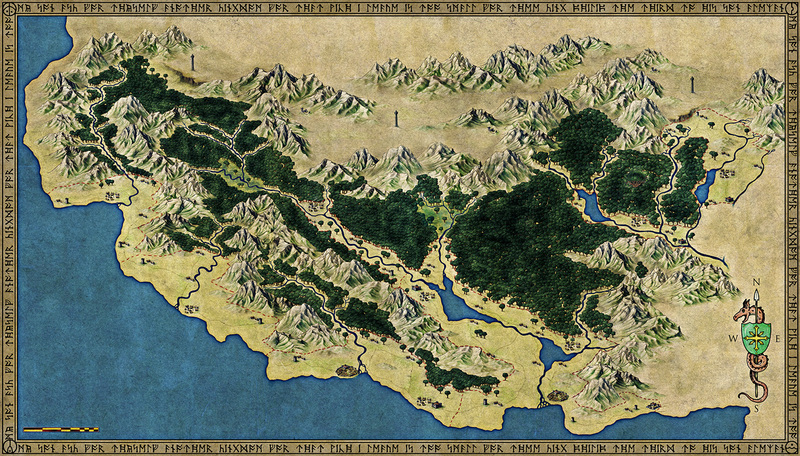 Apart from the 13th age maps I’m also doing some maps for their Trail of Cthulhu game. 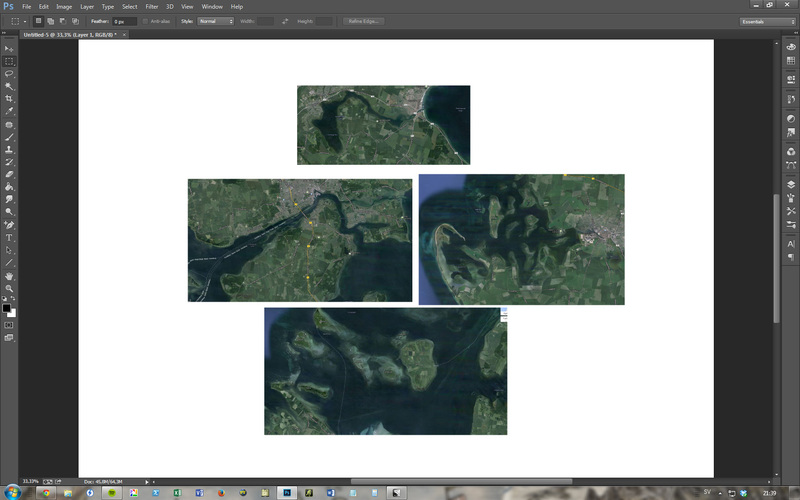 Those maps are however done completely in Photoshop. Originally I was planning on using CC3 here, but when I got the descriptions of what kind of maps they asked for I quickly realized that none of the available styles really would work out. So I started from scratch, making something up on my own. You can see part of a map below. 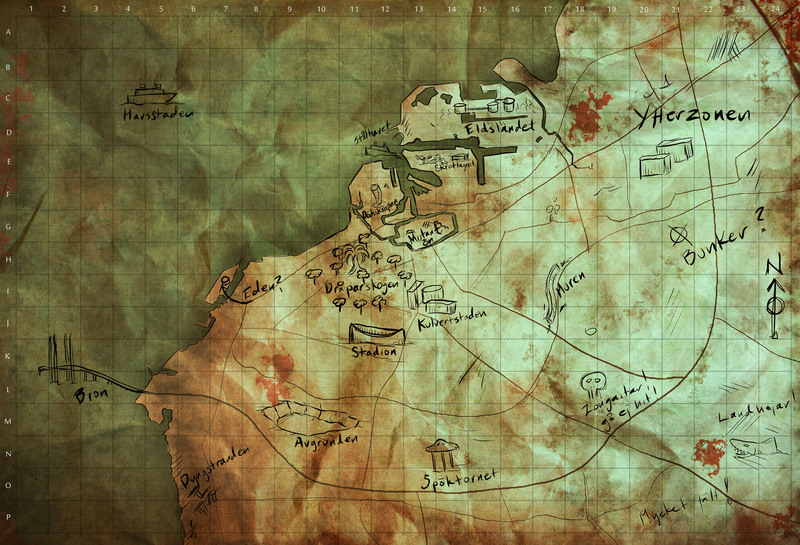 The aim was to make a map that had a 1930th feeling, something that could have been in an Indiana Jones film. I am very pleased with the result and I’m looking forward to see them in print. But first I need to finish all the maps. 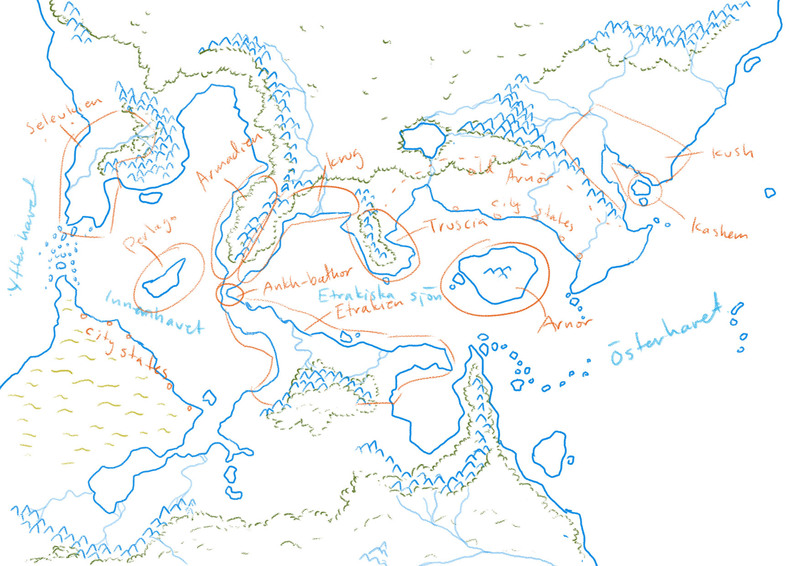 Sometimes you just have to make a map, the inspiration just demands that you have to do it. You can’t really wait for the next day, you can’t even go to bed until it is finished. I got that feeling today, and I have to blame the Swedish RPG Mutant year 0 (Mutant år 0). Last year I backed the re-release of the Swedish game Mutant. I used to play the game when I grew up and I really loved it. It is a game about the world after a big catastrophe, a nuclear war. Or at least that was the story back then in the late 80’s. By then it didn’t feel like an absolutely unrealistic future. Anyway today I got the PDF’s of the new game in my mail box, the printed game will be released in April this year, and it looks absolutely fantastic. I haven’t read all the rules but the ones I’ve looked at looks very solid and good. With the game there were also two really nice maps of the Stockholm area after the catastrophe. I really liked the feeling of the maps and just felt that I had to try to make one myself. 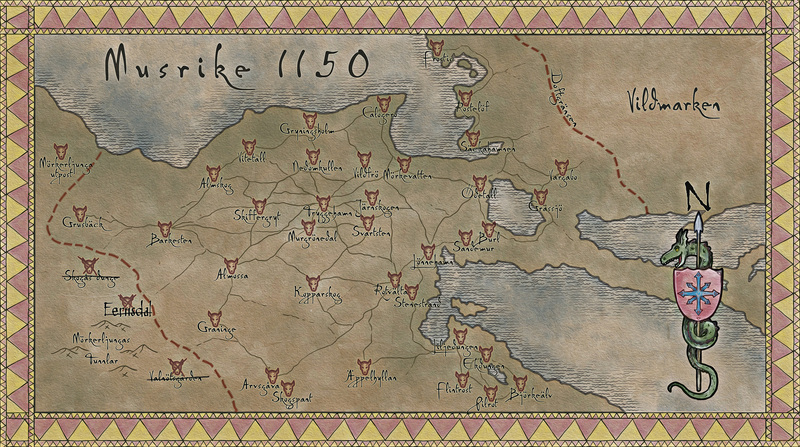 Also it felt like a shame if you could only play the game in Stockholm, so I made a map of Malmö. 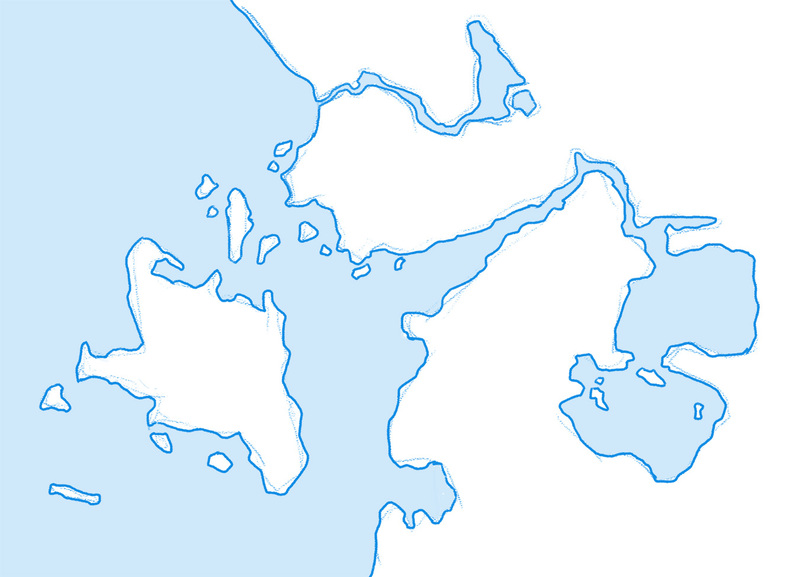 The map is completely made in Photoshop on my Wacom Cintiq. Not much more to say, hope you like it.